Download free software to analyse procurement red flags! We have been working with the African Data Initiative to develop an easy tool for analysing our datasets. 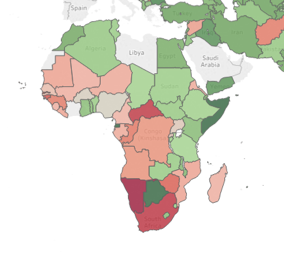 The African Data Initiative created R-Instat, a free, open-source statistical software that is easy to use and does not require statistical training or advanced computer skills. As a result of our collaboration, ADI has added a specific menu for analysing procurement data using our red flag methodology. You can download the latest version of R-Instat here, and then check out our video tutorials to learn how to use it to analyse procurement data and create brilliant visualisations of the results, including graphs and maps. The videos include an overall introduction to the project, method and software; an overview of the World Bank dataset; and more ideas on how to analyse the data using R-Instat. Why not download R-Instat now and start playing with the data?